When was the Sun renamed to Sol in the Star Trek universe and why? We've been using "The Sun" name for centuries and I can't find any reasonable reason for renaming it to "Sol" or anything else. Sol is the name of our Star, the Sun is a big star. If you ask a room full of aliens what they think of the sun, you will get a different answer from each one, depending on the star that their home planet orbits. If you ask them about Sol, you are asking specifically about the star that the Earth orbits, which you can also refer to as Sol III to get inline with most designations they give to planets that are encountered. First of all, using "Sol" is basically like saying "Sun" - it's the Roman name for the Sun god and for the sun itself. Secondly, it's a common name for our sun (and by association, our solar system), not only in Star Trek but in science fiction in general. Asimov used it as far back as the original Foundation in 1951, Heinlein used it in 1939's Misfit (thanks to Ross Presser for that catch), and it's been used by dozens of other works of fiction, before or since. Based on that, I wouldn't be surprised if you won't find any in-universe explanations, for the same reason you won't find an in-universe explanation for why they call starships, starships: it's an established-enough science fiction term that doesn't need specific in-universe explanation. The reason for its use over the English sun (much like earth) is that sun a universal, singular word that carries the assumption that there is just the one Sun. 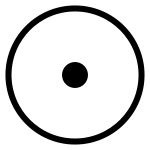 So the English usage for sun is both "The star in the center of a solar system" and "This particular star, the one our planet revolves around, in the uncharted backwaters of the unfashionable end of the western spiral arm of the Galaxy". To prevent this ambiguity and allow English-speaking colonists in other solar systems to use sun for their sun, the Latin Sol is used for this sun. If your argument is that the name "Sun" predates the word "Sol", you are mistaken. The Romans called the sun "Sol". So do many people even today. And so on. In addition to this, many sun gods are named Sol, or some variation thereof - the Romans called their sun god "Sol", and later "Sol Invictus"; Sol was also the name of sun gods in Norse and Germanic mythology, among others. Even in English, we refer to the group of planets in which we live, and the star which they orbit, The Solar System. More loosely, any arrangement of a star orbited by planets is called a solar system (note the difference in capitalization- it is subtle but important). "The Sun" (capitalized) refers to our star, while "the sun" can refer to any star orbited by planets. But no one, as far as I know, refers to other stars as Sol, or any variation thereof, aside from the aforementioned exception regarding "solar systems". We do name other stars, regardless of whether or not they are orbited by planets; sometimes we give it an actual name (Polaris, Betelgeuse, Sirius, etc); sometimes we give it a more technical title, usually a combination of letters and numbers; sometimes we use a name plus a number (e.g., Rigel 7). Bottom line: The International Astronomical Union hasn’t sanctioned an official name for our sun, and our sun doesn’t have a generally accepted and unique proper name in the English language. But, in history and in other languages, the sun does have proper names. To get back to the specific issue of why the word Sol is used in Star Trek, the answer is fairly easy to see, in light of the above information: if you travel across the galaxy/universe on a regular basis, using the word "Sol" avoids potential confusion stemming from the fact that any star orbited by planets is a sun. I would assume that the folks in the Federation decided to call our sun "Sol" to distinguish it from every other star orbited by planets, of which there are billions in our galaxy alone. It is easy to understand this reasoning if you imagine a situation where we referred to all planets as earths. How would anyone know which earth the captain was trying to get to if every planet was called earth? So, in short, chances are the people in Star Trek simply want to avoid confusion, so they decided to call our star "Sol", to differentiate it from every other sun. I suggest that the usage depends on the point of reference. When referring to the object as a star without reference to a planet, it's called "Sol". When referring to it from one of the orbiting planets, a star is also called the planet's "sun". Evidence for #1: a star chart from the Wrath of Khan shows the name "Sol". Since star charts show a broad view of space, specific names are needed to disambiguate. Evidence for #2: on the TNG episode Hide and Q, Riker makes note of the "dual suns" of Q's "fake" planet. It seems to me that it was clearer of him to say "dual suns" as opposed to "dual stars" because he was speaking as one viewing the stars from the planet. It's possible that those from earth (or other planets in the Sol system) may refer to Sol as "the sun", purely out of tradition. Historically, the Sun was once called Sol by a variety of non-scientific groups, mythologies and languages. This was good enough for NON-scientists. When scientists got involved, they decided the primacy of our SUN meant it didn't need a name. It was THE SUN, the only one we had. Just like our MOON is THE MOON, the only one we will ever have. Science fiction extrapolates the idea there will be life on other planets. That if said life is intelligent it will either name our star FOR us or expect us to grow up and name it ourselves. In most science fiction, the word for our sun became its legendary name of Sol. Earth became Terra or Earth, and the Moon became Luna to designate it different from any other moon in any other star system. This is a genre convention, nothing more. Star Trek took said genre convention and applied it to their writing. Memory Alpha says the star in the solar system where Earth was found was classified as a type-G yellow dwarf star, Sol (also known as The Sun) was the primary for the Sol system. This system was located within a stellar cluster in Sector 001 (or Sol sector), a region of space in the Alpha Quadrant. Given that aliens arriving in our star system would want to give our star a designation WE would prefer, it is likely that, even though the IAU would call our sun, The Sun, when we were the only game in town, once we had confirmation of other life in the Universe, and there were officially OTHER suns, we would have to give our sun a NAME. What better name than the Latin word which has translated directly into half a dozen other languages as Sol? Sol is Latin which means sun. Many languages like Spanish Sol means sun. It also seems more exotic to use it in the English language. Where did using “Luna” as the future name for the moon come from? Do all Vulcans have names unpronouncable to humans? When and why was impulse drive invented? Why did the producers decide to name the Enterprise the Enterprise-D? Was it ever explained why ships can't fire when cloaked? 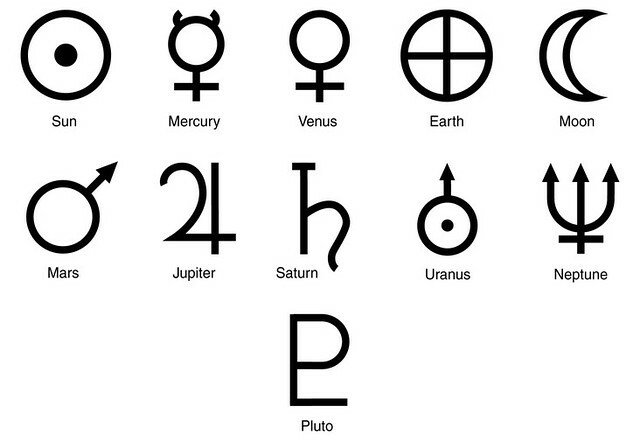 Is there an in-universe explanation for why so many alien planets have names from human mythology?